Enhance the appearance of your home with the maintenance free range of uPVC fascias, guttering and soffits installed by us. Fascia are the visible boards that surround the perimeter of your roof. We remove all existing fascias whether timber or plastic to reveal the box ends which will be examined and replaced should they show any signs of rot whilst replacing the fascias. Gable ends are also replaced. Soffits are the adjoining boards that are located on the underside of the roof overhang. 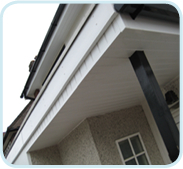 We offer both ventilated and non-vented soffit boards. Upon inspection and specific requirements we will utilise either option to ensure a circulation of air, preventing damp and protecting timber eaves and joists that can be damaged by condensation. 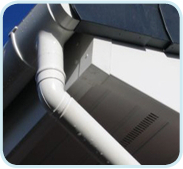 It is important that guttering and downpipes are working efficiently to ensure that the rainwater is disposed of correctly from your roof into your drain. Problems and leaks with guttering and downpipes can cause numerous issues to your property which can be expensive to repair. 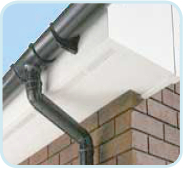 No guttering is completely maintenance free, and regular checks to ensure no blockages is strongly advised. 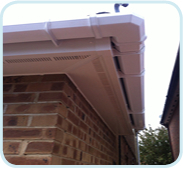 All of our fascias, soffits and guttering are available in a range of colours. You can view all our products in our local branches located in Coventry, Nuneaton and Rugby to ensure your new addition is right for you. Currently serving Coventry, Nuneaton, Rugby and the surrounding areas so can easily get your newest Windows Plus product.